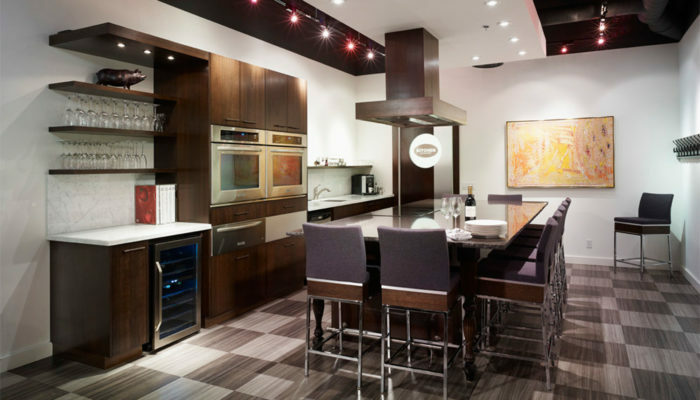 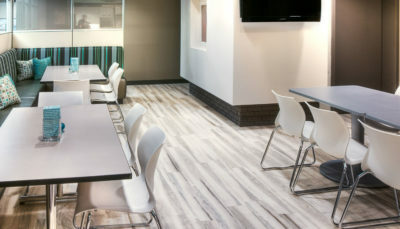 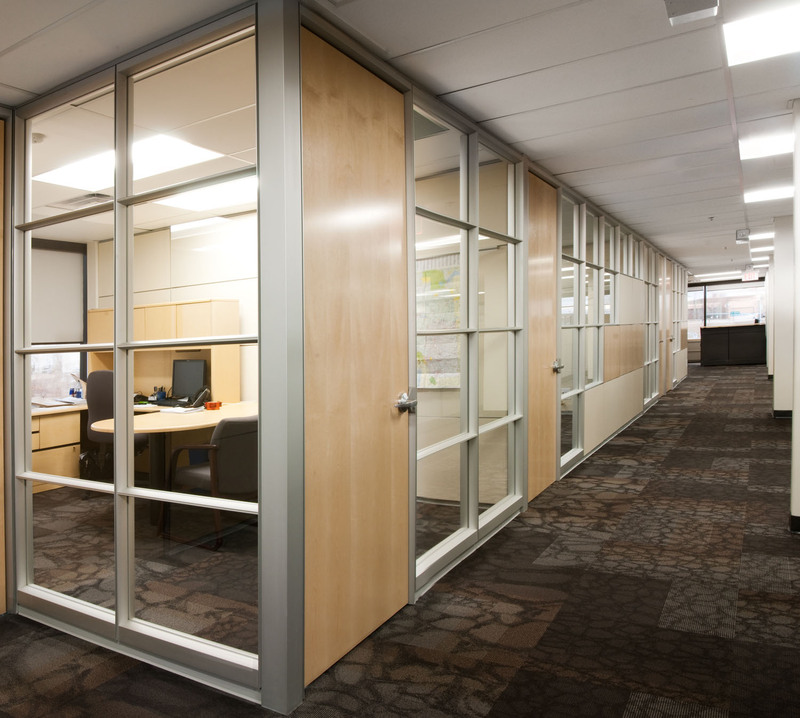 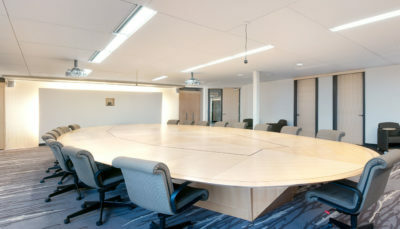 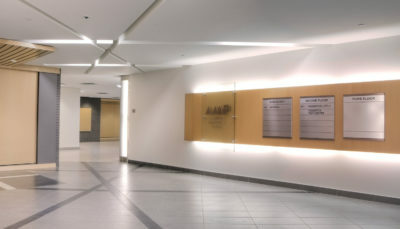 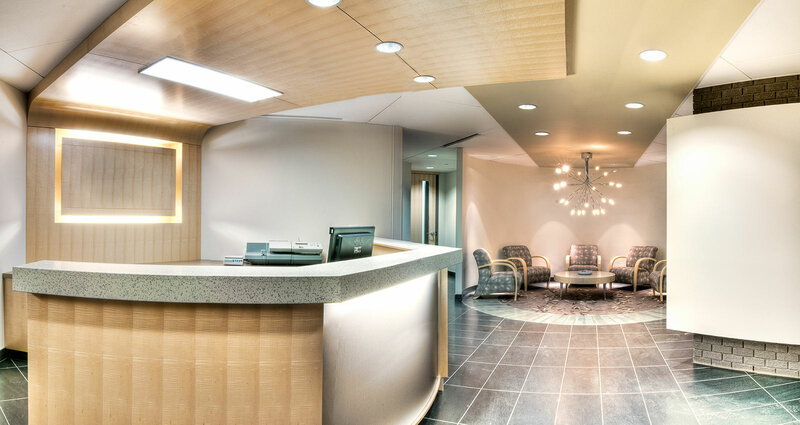 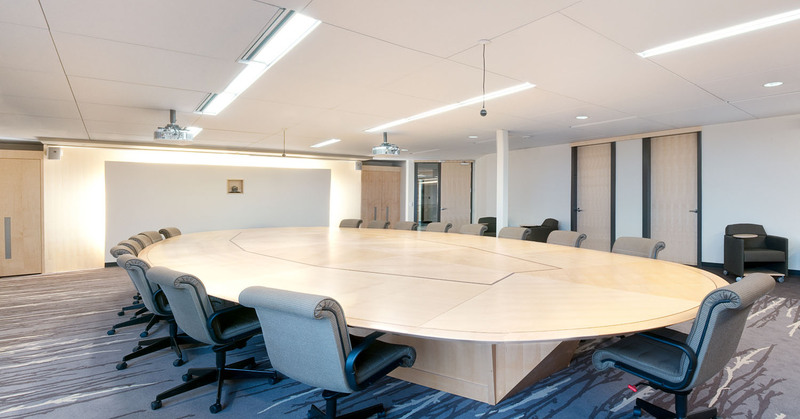 Alberta Municipal Place Lobbies : Wolski Design Group Ltd. 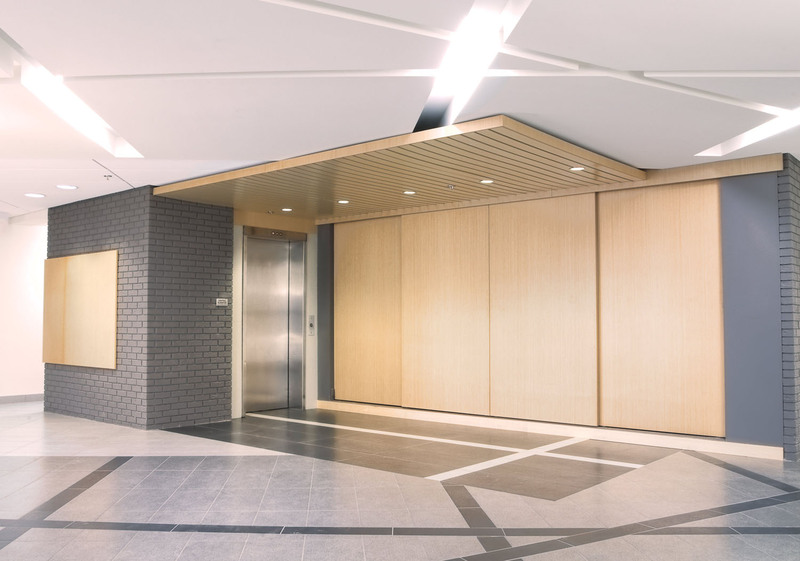 When Alberta Urban Municipalities Association (AUMA) acquired this three-storey building, they asked us to rejuvenate the entrance and lobbies. 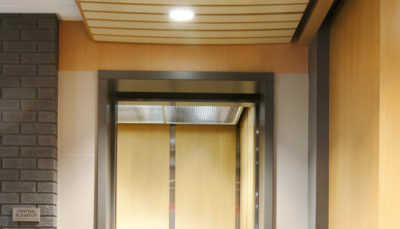 Stripped down to their bare structure, only the shell, elevators and stairwells remained. 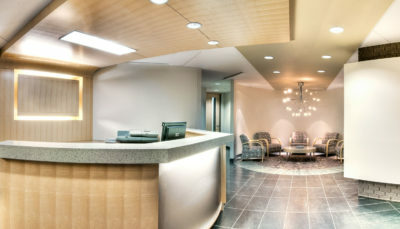 A modernized entrance now welcomes tenants and visitors. 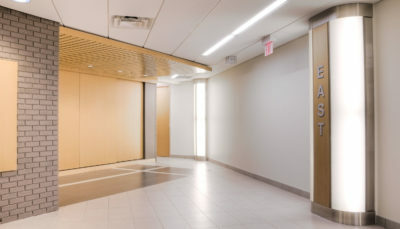 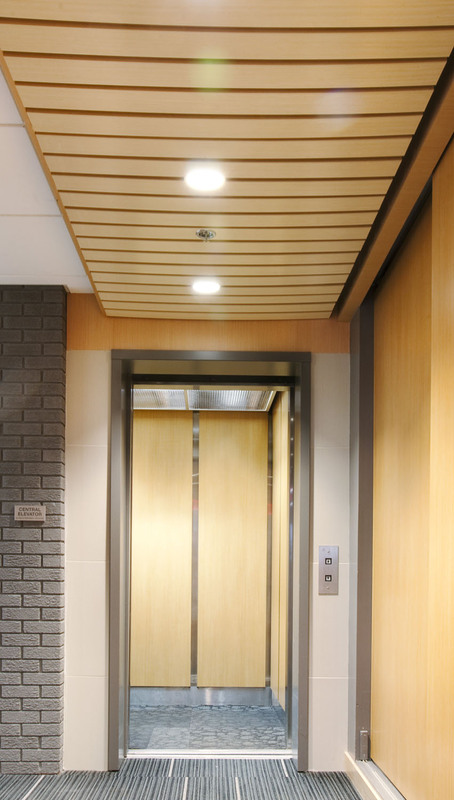 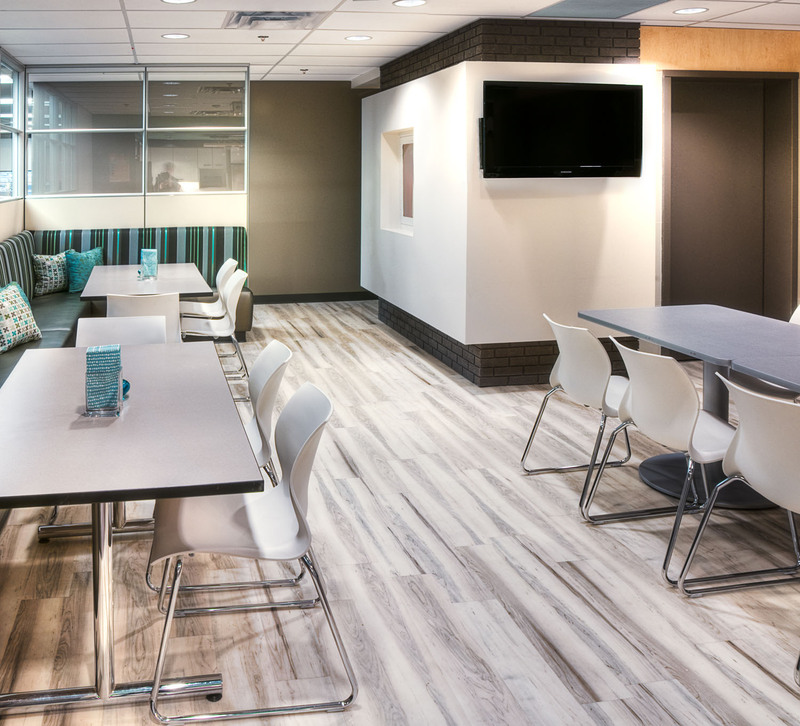 Redesigned common corridors boost square footage, while upgraded ceilings and lighting open up the space. 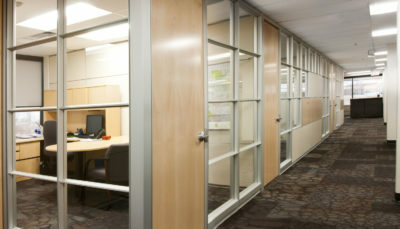 Defined building standards make it simple to lease vacant suites. 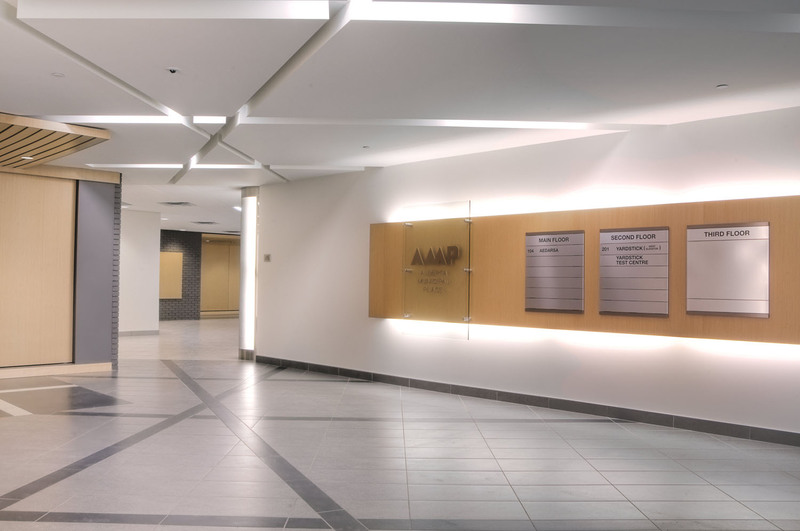 A natural gas co-generation unit, solar panels on the roof and a wind turbine provide data for similar urban applications, reinforcing AUMA’s commitment to sustainability and research. 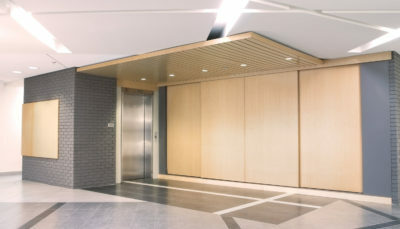 A modernized entrance now welcomes tenants and visitors. 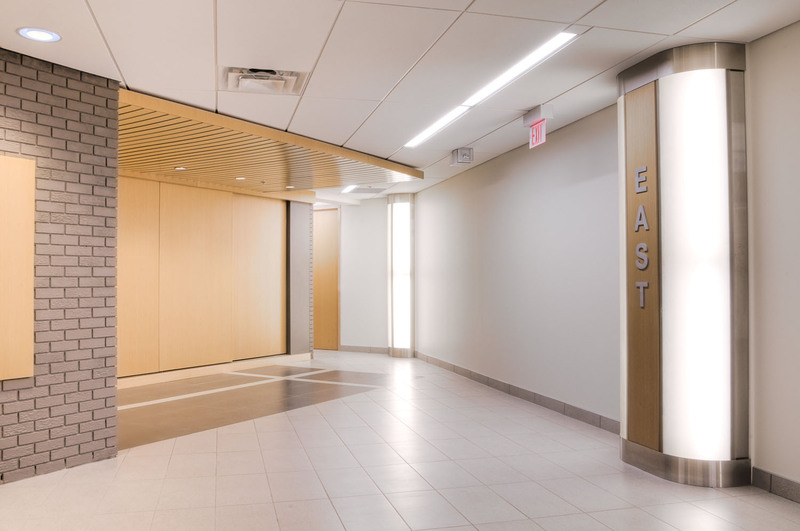 Redesigned common corridors boost square footage, while upgraded ceilings and lighting open up the space.